It has been a very difficult start to the year for me running wise. From the very beginning of January I was dragging my legs and huffing and puffing about like a steam train, hating every minute of my running and hating myself for hating it! Mid March I got round to going for a blood test and found out I was quite anemic and was prescribed a course of iron tablets for the next wee while. After I was given my results (my ferritin level being 2!) I asked my GP, half knowing the answer and half hoping these tablets would work miracles in a matter of days, if I’d be able to run the Alloa half the following weekend. He stared at me with a furrowed brow as he tried to figure out if I was joking or not! But of course in a round about way I was told not to be so silly and just get back to training first – gently! Another reason I had really been looking forward to running it was even though it’d be my 3rd time running the route it would have been the first time since I’d joined the club. And wow, were the WCH out in force for this race!! This lot were awesome. I was jealous but I got to cycle to various points and cheer them on! So, the race I had been looking forward to for a whole year was out. 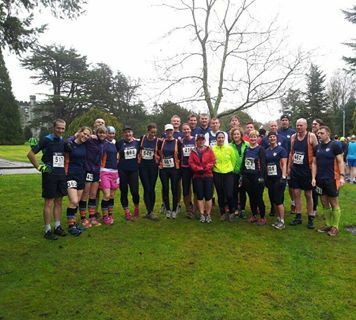 Our local half, the one in which I smashed my p.b by 5 minutes in last year and what was to be my first ‘A’ race of the year turned into my second ever DNS, but for the first time through not being able to run and having to stand on the sidelines and watch everyone else get hyped up for and run so well in! In my mind, and many others, a DNS (did not start) is ten times worse than a DNF (did not finish) or even a DLF (dead last finish) but this time the situation was outwith my control. Racing was physically not possible and my legs would definitely not thank me for even trying. I had to get over it and realise I was being silly – there were plenty more races and many more years of racing to get through. I’m only 30, so that’s pretty young for a runner and I can only plan to get better in the future. I wasn’t ruling the day out though, so I took my bike and cycled the course to cheer them on and take pictures at various points. 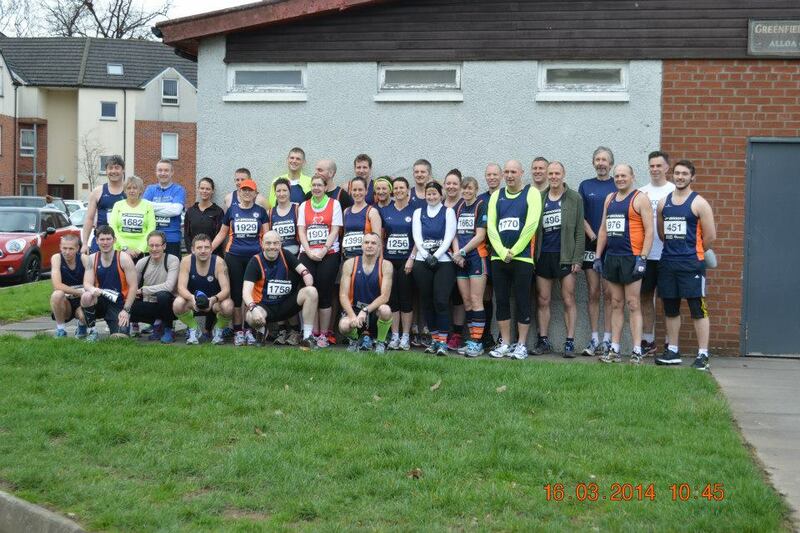 I lost count of the amount of p.b’s or course p.b’s set that day – every single runner did so amazingly well! Not the easiest course when they stick in Menstrie Brae (a hill lasting half a mile or so) at 10 miles into the race. At the end of the day we all regrouped and went for an Indian meal and few drinks at a local restaurant – I know I didn’t run, but who said I couldn’t celebrate everyone else’s success! Jemma also ran amazingly well coming in about 20 seconds outside her p.b. She’s now joined the Wee County Harriers until her and my little brother go traveling later this year, so look out for more orange and navy in that direction!! I am two weeks into my course of iron tablets and I noticed a difference after a week. I was sleeping better, feeling better when I woke up in the morning and I wasn’t out of breath after the simplest of tasks or passing out on the couch as soon as I got in from work. Yes my job is very demanding and I’m always on the go, but getting home at 6:30pm and needing a nap by 7:30pm was very out of character for me! After a few weeks of avoiding training I decided to make my return to a hill reps session and I couldn’t have felt better or enjoyed it more! My mile splits are right back down and running up hills no longer makes me feel like every last molecule of oxygen is being sucked out of my lungs or that my quads are being hit with a hammer. I know it’ll take a bit longer, but I feel almost normal again! What a difference some iron tablets have made! I know I have been screaming it from the hill tops, but I can’t advise it more – if you start to feel low for no apparent reason, your quads feel like your worst enemies and you suddenly feel out of breath like you should if you smoke 40 a day, then get your iron levels checked. I could have plodded on for months had my physio not told me that she had felt this way and that iron tablets made her bounce back within weeks! I may have had to pull out of my first 2 favourite races of the year but I’m bouncing back and I’m ready to to take on the next one with gusto. Before that I will be helping out at the Highland Fling at the end of April and cheering on my club mates that are brave enough to race that distance. I’ll hopefully be joining them next year, but we’ll see how this goes first. 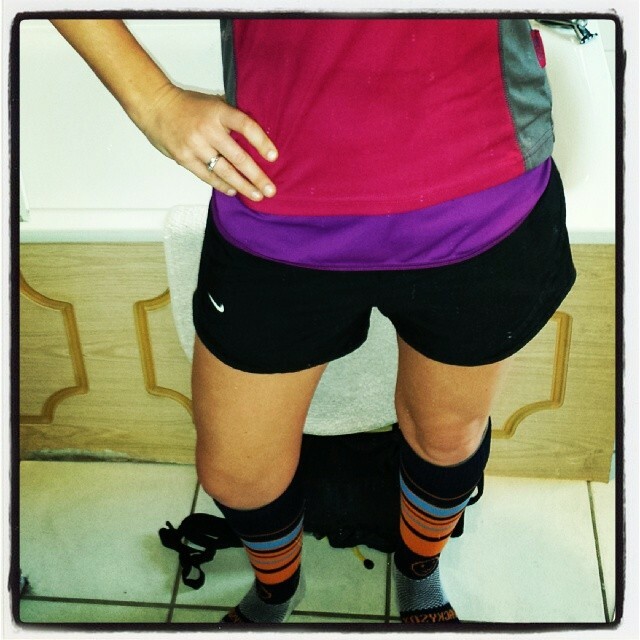 My running colours leave little to the imagination! Apologies once again for the lack of activity around these parts recently. My running has been basically non existent since the beginning of the year and any running I have done has been met with pain, fatigue or just no motivation what so ever and it has left me baffled as I was doing so well right up until mid December. Then I just seemed to hit a brick wall and I’ve been dragging my heels ever since. My training was going down hill, I was unbelievably empty and I came home from countless training sessions in tears. I just couldn’t run any more and I felt I was watching all my hard work from the last year slip away from me. Just over 4 months ago I had completed a marathon and an ultra marathon 6 weeks apart and I was feeling stronger than ever and now, nothing. No drive, no push, no energy. Nothing. But there is a light at the end of the hugely long, dark and damp tunnel. After feeling rotten for far too long and dropping way back in the pack at training, due to not even being able to lift my legs and feeling tired after the first mile, I decided to go to the doctors. He recommended I get a blood test to check my iron levels and low and behold – I’m highly anaemic! I’d read a lot about anaemia before I went for my blood tests as when I went for a sports massage in February my therapist, being a keen hill runner herself, mentioned it was quite a common occurrence in female long distance runners. I went home and googled it all and realised suffered from ever single symptom. So when my test results came back and my theory was confirmed I was quite relived that now I had an answer and with a course of iron tablets to take for the next however long, I’d hopefully be back to my best. However this was all found out after I had performed terribly at the ‘sabotaged’ Devilla 15k. I knew from the start I wasn’t going to run well and yet my stubbornness made me go along and do it anyway. Big mistake. From 2 miles in I was huffing and puffing and my legs didn’t want to go on. Had I been on my own I would definitely have pulled out about then as I was just not enjoying it, but as I was running with a few club mates who were pushing me on, I decided to stick with it. Before all the glorious mud. Shiny just washed shoes!! No matter how bad a race, I’ll somehow always find smile when necessary. This smile masks the pain! 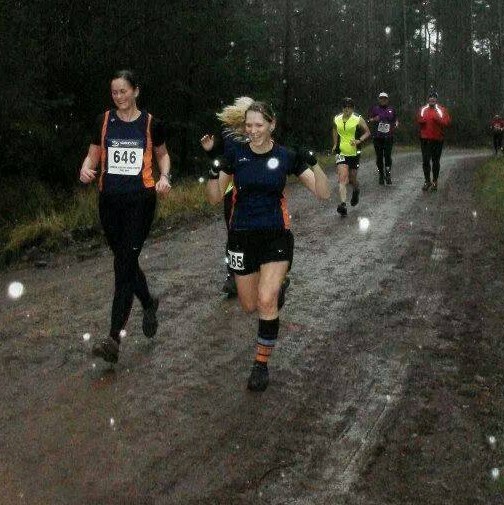 Jemma did a fabby race report so I won’t go into detail, but feeling the way I did on the day I was quite glad that the course had somehow been shortened. When I passed the 10k marker and my watch only said I’d ran 5.3 miles I was confused but when I ran past the spray painted 13k sign on the ground, I was secretly overjoyed. I was done in and the finish line couldn’t come soon enough. 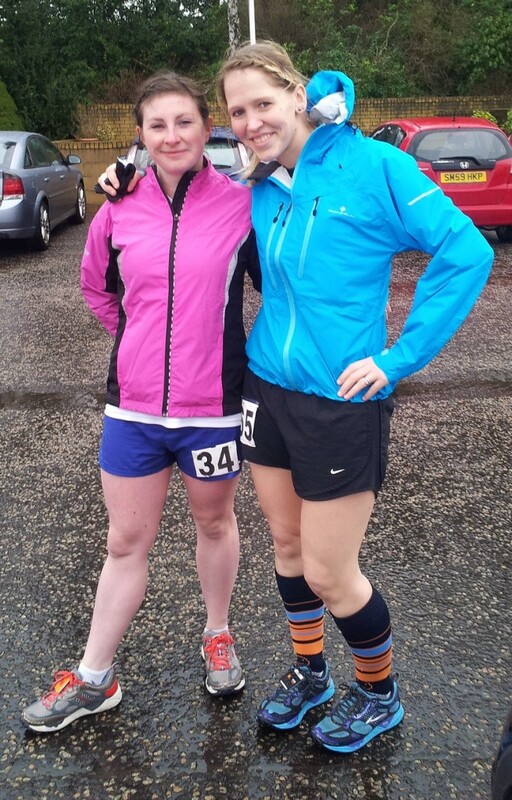 All the way through the race my club mate Karen had stuck with me and pushed me on, which she didn’t have to do as this was her race as well, but I was so thankful she was with me. At a race in the future it will be my turn to return the support to someone else and I will gladly do it. It really spurs you on when you are feeling at your lowest and that you have no more push in you muscles. 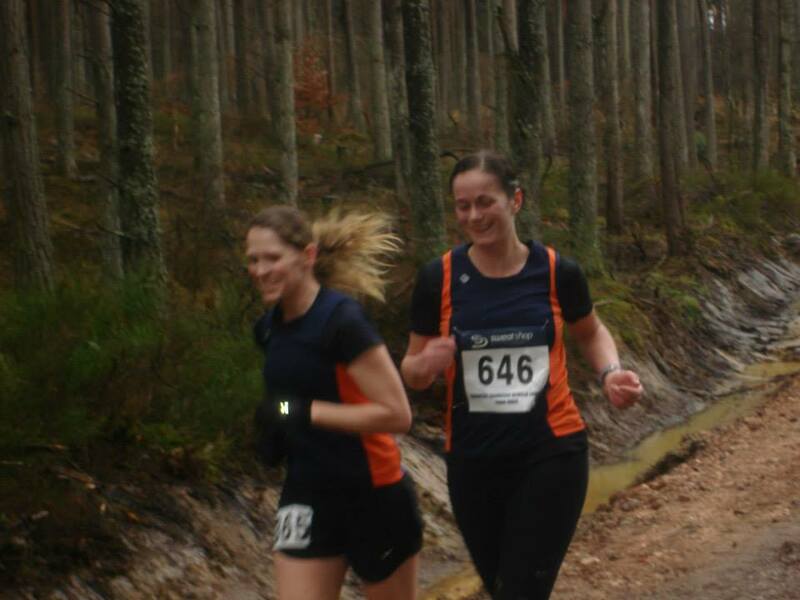 Soaked to the core and failing through fatigue, but I’ll still smile for you Mr camera man! So now I have a diagnosis I guess I just have to bide my time and inhale iron. 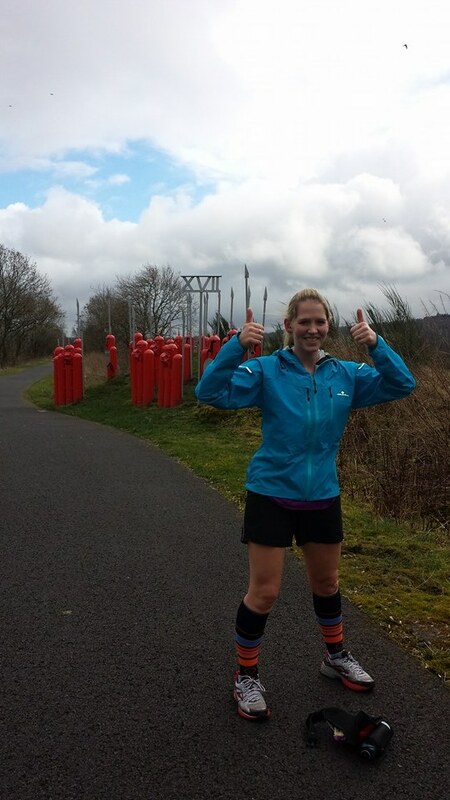 I’ve had to pull out of 2 of my favourite races so far this year – the Alloa half which I had high hoped for a pb in and also the scenic Loch Katrine half. My next big run after that is at the end of April when I should be sweeping the Highland Fling. No matter how rubbish I’m feeling I’ll be doing that. Can’t wait to meet up with all my Ultra buddies at the end and celebrate with them!